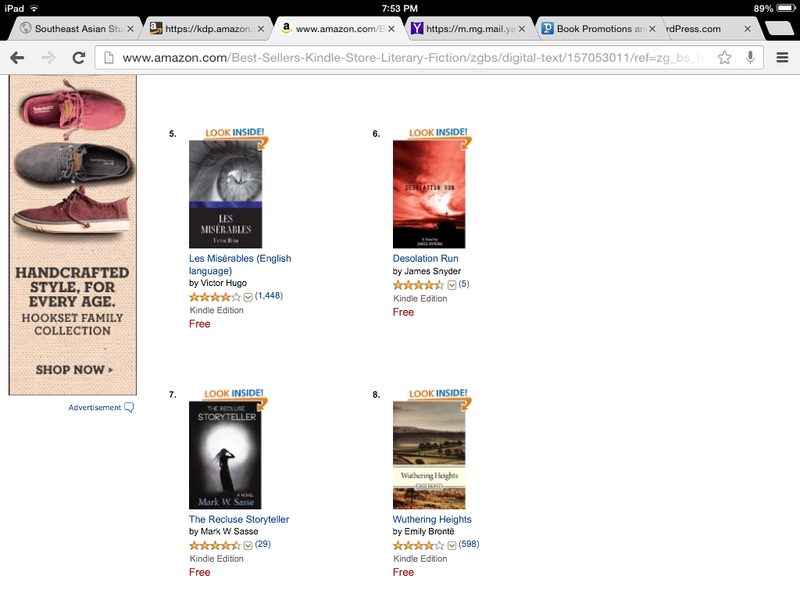 Moved up to number seven in literary fiction. Almost as popular as the Timberland shoes on the left. Reached #2 on the contemporary lit fiction and we still have one more full day of promotion ahead of us. Hoping to go with a big bang! I appreciate everyone who has helped pass the word. It means a lot with my next novel only 6 weeks away from publication. This entry was posted in Promotion and tagged ebooks., free books, free download, kindle books, kindle free book, Kindle free promotion by sassevn. Bookmark the permalink.